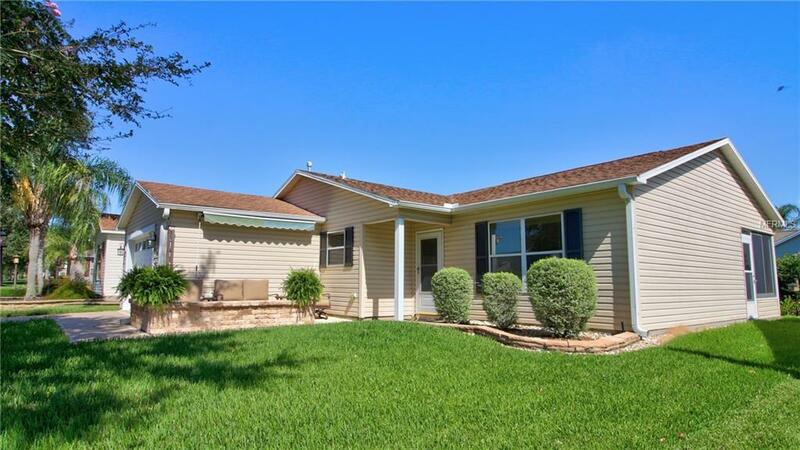 Extremely clean and well maintained Laredo floorplan in the community of LYNHAVEN/THE VILLAGES. 2/2 bath, dining/living open floorplan, volume ceilings, upgraded kitchen and bathrooms. Walk in closet in master with custom shelving. Covered Lanai. Stainless appliances, new counter tops, neutral paint colors and carpet. Located minutes to Sumter Landing and shopping. Easy access to golf courses and recreation facilities. One car garage with golf cart parking. Move in ready. So many reasons to call this home. Seller will pay up to $450 on a successful closing toward a home warranty. Don't miss this one.